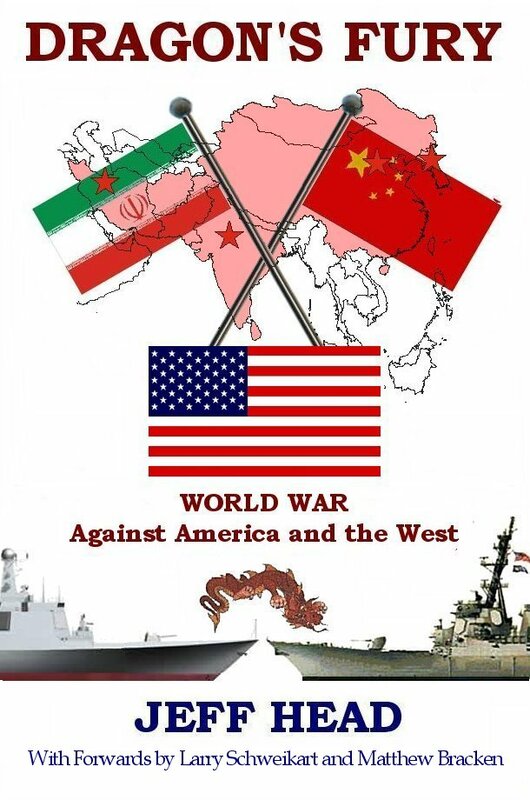 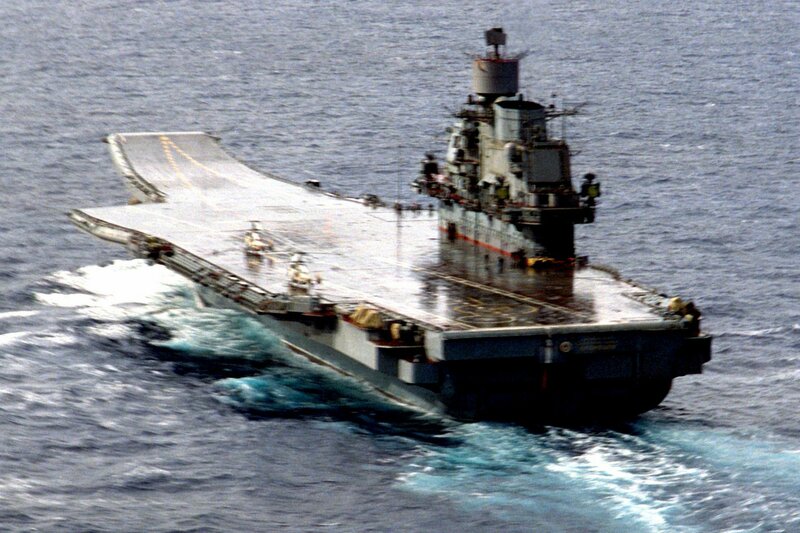 The former Soviet Union worked for decades to try and produce their own aircraft carrier capability. 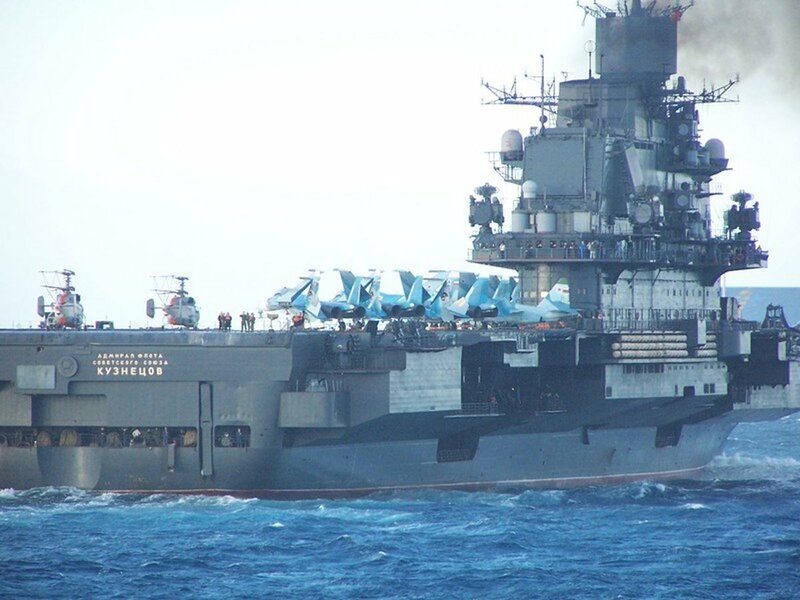 Starting with the Moskva class helicopter carriers, that were a crusier forward of the superstructure with a large flight deck aft of the superstructure (similar to the French Jeanne d'Arc), progressing through the Kiev class, which had a full flight deck that came along side a massive Island, but still had missiles, guns, and ASW weapons forward, the Soviets finally, near the end of their life, produced the Kuznetsov. 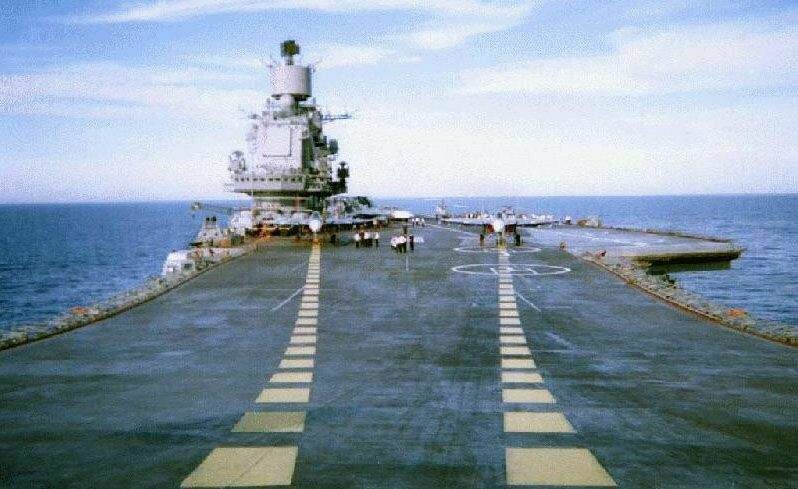 The Kuznetsov pioneered a carrier capability known as "Short take-off, arrested landing" (STOAL) and had an inclined front flight deck to assist aircraft into the air, taking a note from the UK Invincible class. 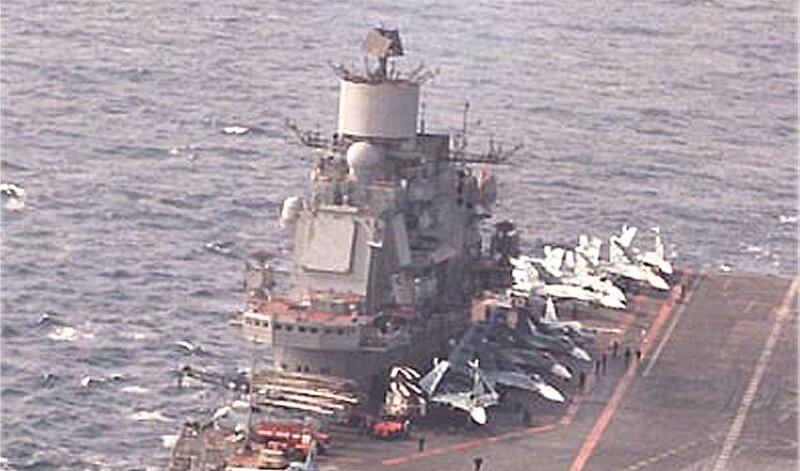 Most believe that this was more a matter of necessity coming from the Soviets inability to proiduce a working catapault system. 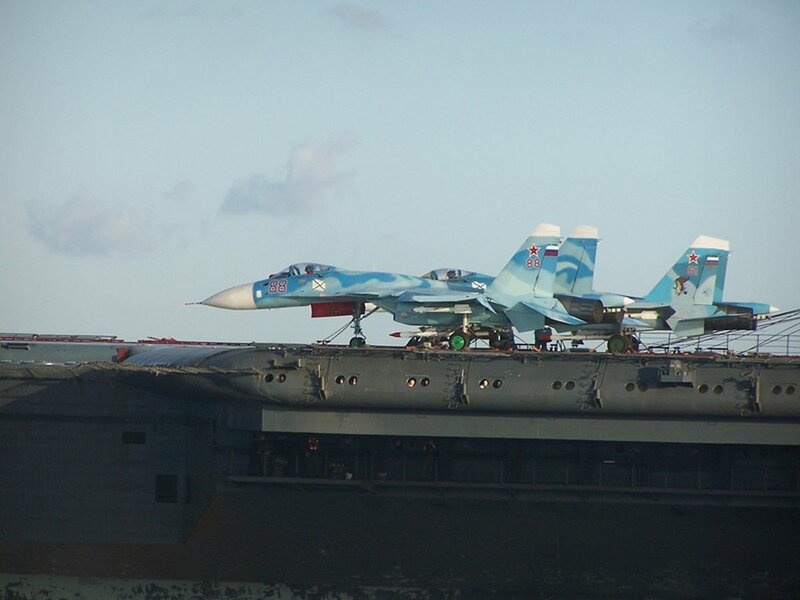 Whatever the reason, the carrier was produced and the launching system worked. 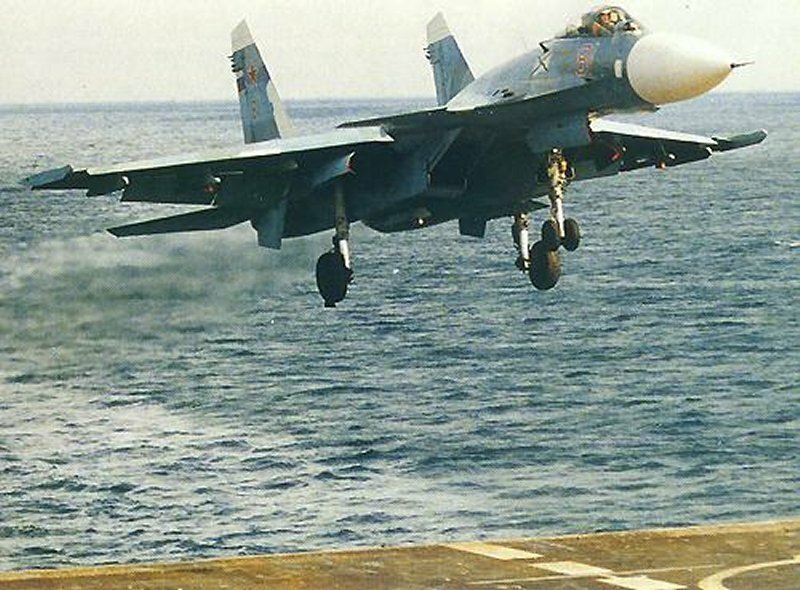 Aircraft are recovered with arresting landing per conventional carriers on the angled flight deck from the rear. 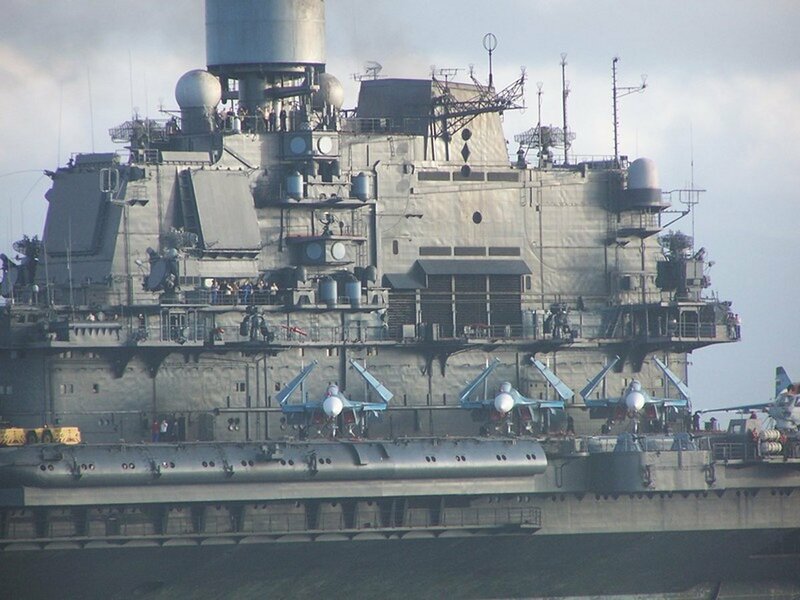 At 65,000 tons and with an airwing of fifty aircraft, the Soviets finally had their large deck carrier and started a second, the Varyag, before their time came to an end. 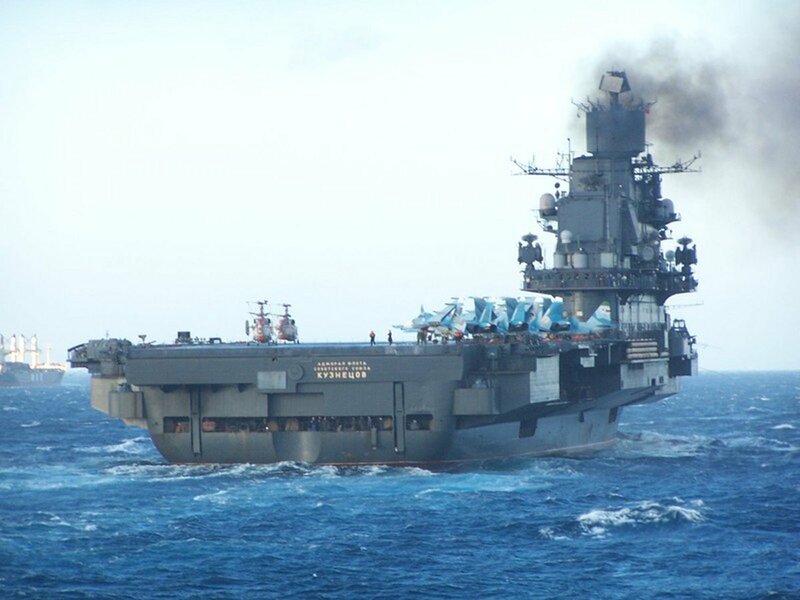 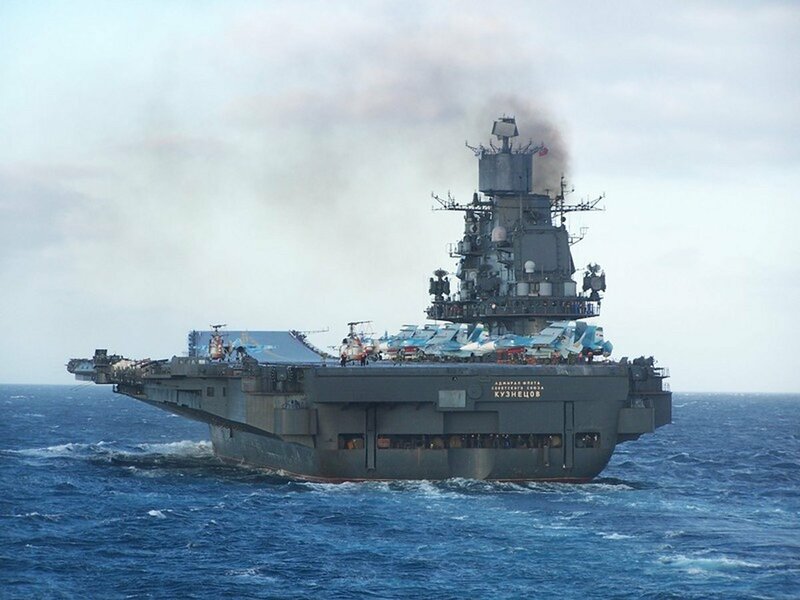 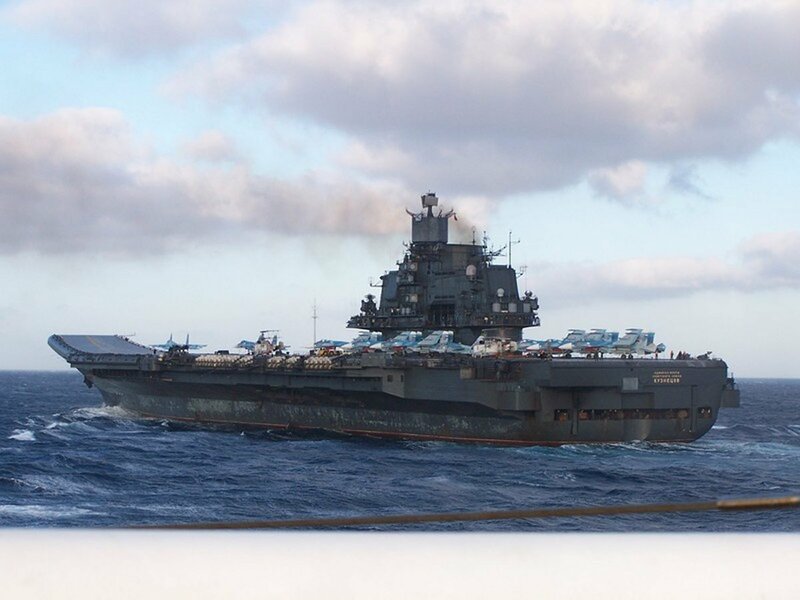 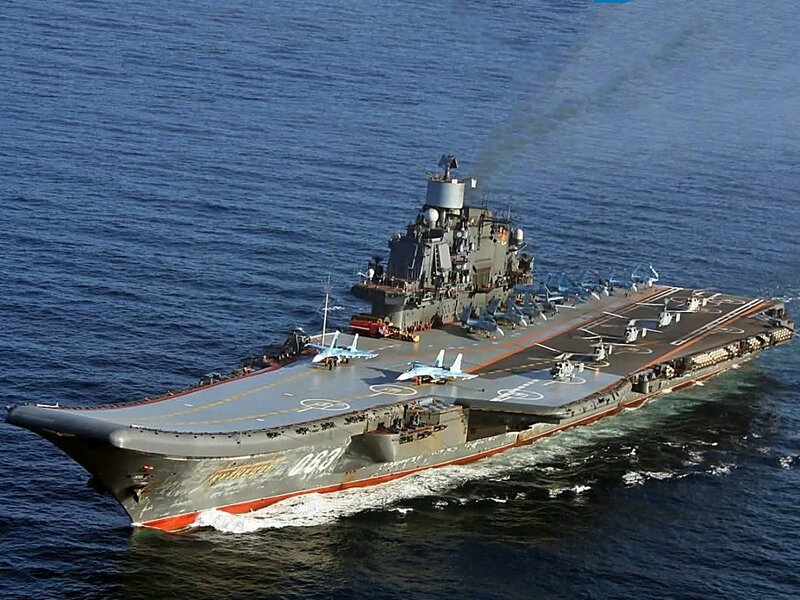 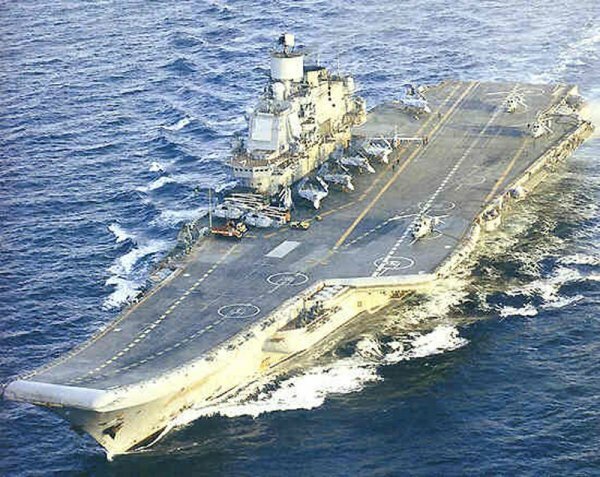 After the fall of the communist regime and the split up of the former Soviet Union, the Russians retained control of the Kuznetsov, and as funds have allowed, have continued to train with her and develop their capability. 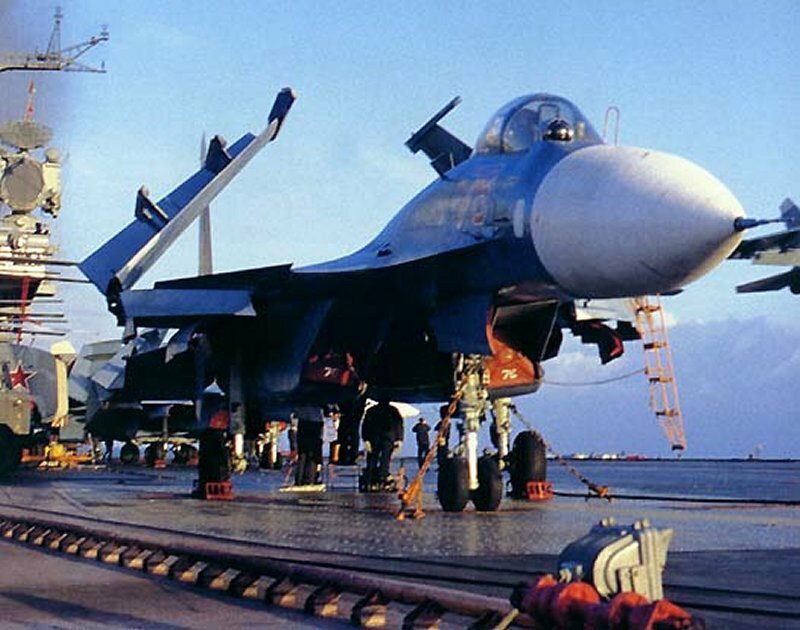 The SU-33 aircraft she embarks are very capable multi-role (attack and air defense) aircraft. 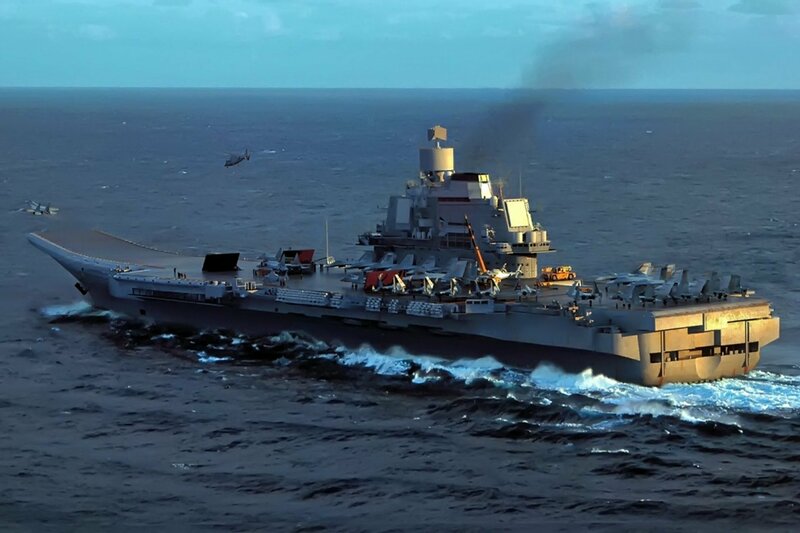 The large carrier lacks in a truly effective AEW airraft, using helicopters in that role like the British on their VSTOL carriers. 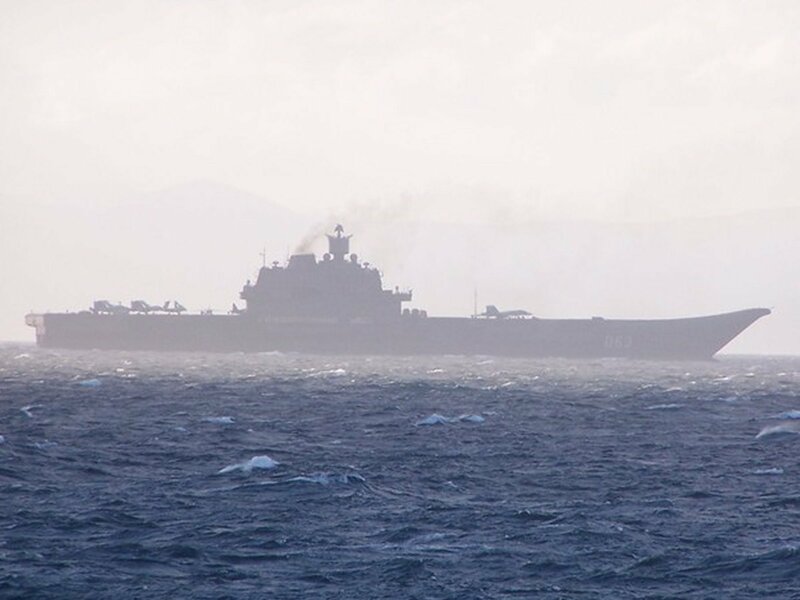 The Ukraine retained control of the Varyag and were incapable of finishing her, ultimately selling her to China where she has been towed and is undergiong a refit to unstated purposes to this day...although it is apparent that the Chinese PLAN has a desire to develop carrier operations themselves with the Varyag, and have the funding, the relationship with the Russians, and the know how to do so.